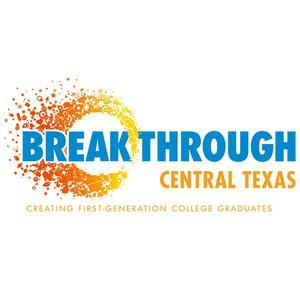 Breakthrough Central Texas provides out-of-school learning and academic case management from middle school through college to students from low-income communities who will be the first in their families to graduate from college. Breakthrough builds a path through college, starting in middle school, for low-income students who will be first-generation college graduates. The program includes summer sessions at the University of Texas, St. Andrew’s Episcopal School and in the Manor and Del Valle Independent School Districts, school year support and advocacy, and comprehensive college counseling and guidance. Breakthrough makes a 12-year commitment to successfully guide each of its students and families through the long and complicated process of preparing for, enrolling in and completing college. We believe that by providing innovative educational programs to children and their families, we can replace the cycle of poverty with self-sufficiency. Breakthrough currently serves nearly 1,700 students in grades six through college, and admits an additional 280 students each year. Our students graduate high school on time, enroll in college, and graduate college at significantly higher rates than their low-income peers. Members provide mentoring, academic support, coaching, program planning and implementation, and other varied activities to contribute to the success of Breakthrough students.